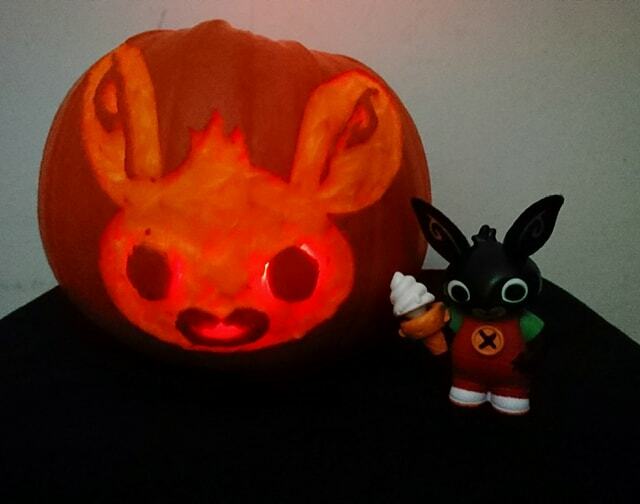 A Bing Bunny themed Halloween Pumpkin! CBeebies was on my TV every single day when my son was little and I actually remember him watching the first ever episode of Bing being broadcast just before he turned two. He instantly fell in love and when his sister was born a few months later, she was basically introduced to the show right away. Fast forward three years, my children are five and three and even now my eldest will ask, "Mummy, can we watch Bing on BBC iPlayer?" It's one of those shows that they never get sick of. 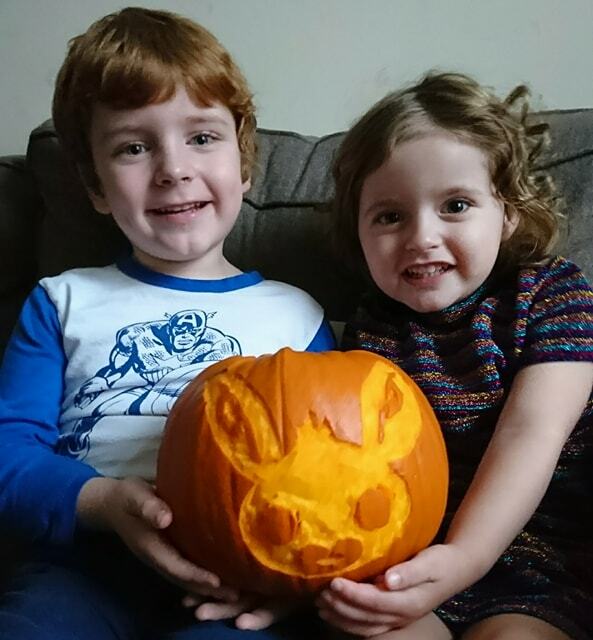 With Halloween around the corner we decided to give carving a pumpkin a go. 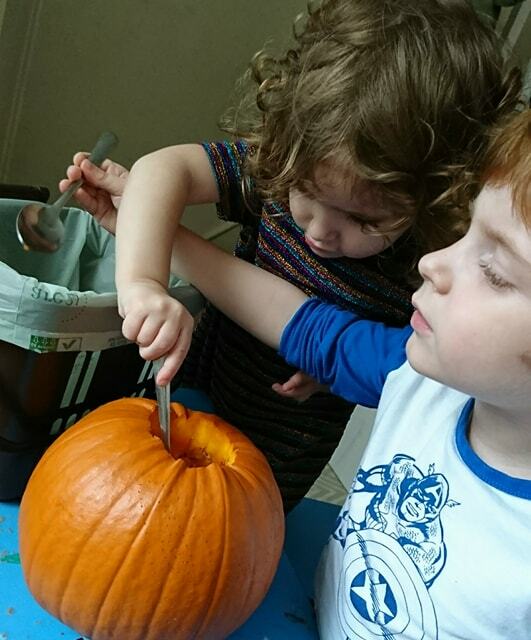 I have never carved a pumpkin in my life but I was willing to give it a try as I knew C and E would love getting their hands dirty and who better to carve than Bing himself? I liked the idea of doing a familar character for them rather than a traditional scary one. 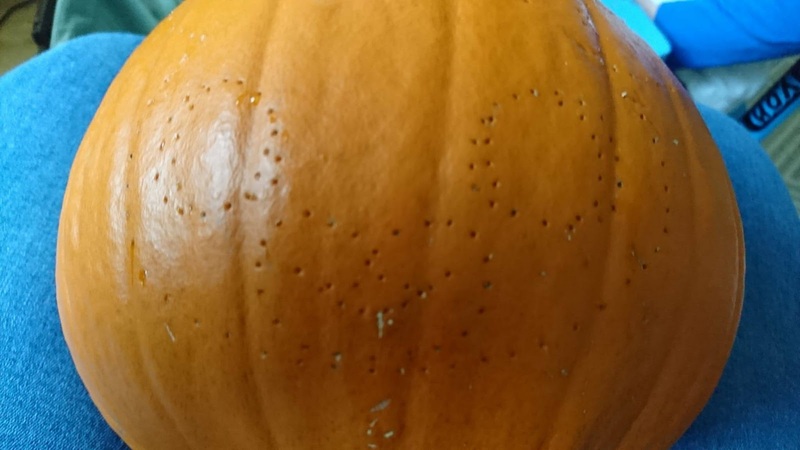 As I'm such a beginner, I watched Bing's 'How To' Pumpkin Tutorial and it seemed easy enough even for me. 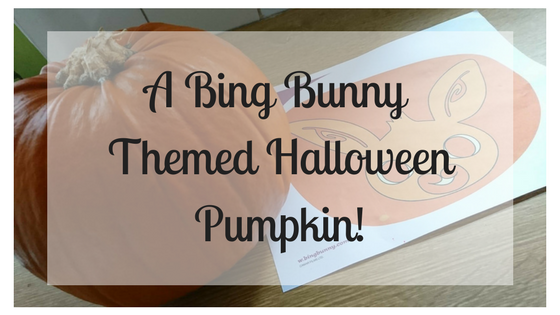 I started off by printing a Bing pumpkin template and taping it to the front of our pumpkin. 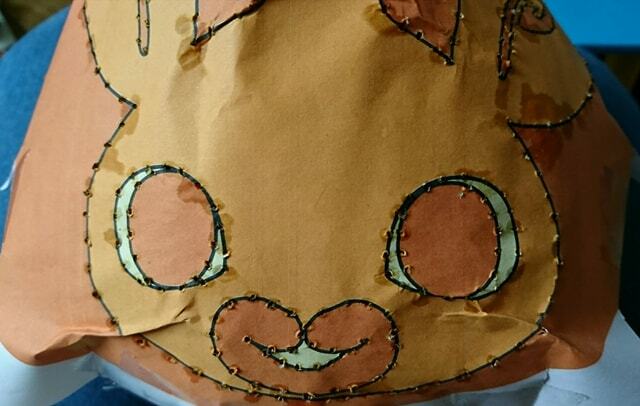 I then followed black outlines of Bing's face, eyes and mouth and pushed a pin along so that when I removed the template sheet, I had a dot-to-dot image of Bing's face. Now for the fun bit! We scooped out all of the insides and cleaned it out, then I did the tricky bit of doing the actual carving and making holes at the mouth and sides of the eyes. I honestly couldn't believe how easy it was! The template was a massive help and it's hard to go wrong when you use it. If you want to give carving a Bing pumpkin a go, check out the Bing website for inspiration and you can view some other cool Bing pumpkins on the Bing Facebook page!